Last summer, we were brought to tears by Astro’s inspirational story. We’ve followed the turns of his journey ever since. Artist and PCT community member Kolby Kirk shares with us the news of Andy Lyon’s passing. A journal documenting Andy’s life and travels can be found at hikingthepacificcrest.wordpress.com. R.I.P., friend. Andy “Astro” Lyon full of love and openness on the PCT. “I am full of sadness today. On Friday, August 30th, Andy “Astro” Lyon passed away. Andy Lyon had been fighting Hodgkin’s lymphoma since he was 18 years old. For over four years, he had been through chemotherapy and a stem cell transplant to try and stop the disease. 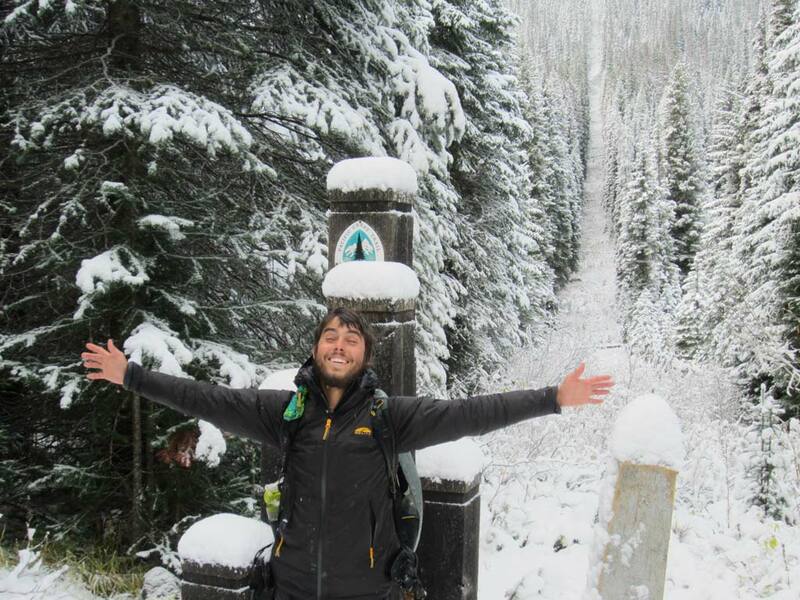 But when the cancer came back again in 2012, according to his mother, “Astro said enough was enough.” Instead of more chemo, he decided to hike the Pacific Crest Trail starting in April, 2012. It was a difficult journey, as it is for every thru hiker. However, after hiking 2,302 miles, pain in his back was so great, he had to get off the trail to see a doctor. The pain he was experiencing was from a new tumor discovered along his spine, pressing on nerves and causing the increasing pain, making it difficult for him to move. Despite the news, he continued his hike. On October 6th, 2012, Astro completed his goal of hiking the Pacific Crest trail from Mexico to Canada.